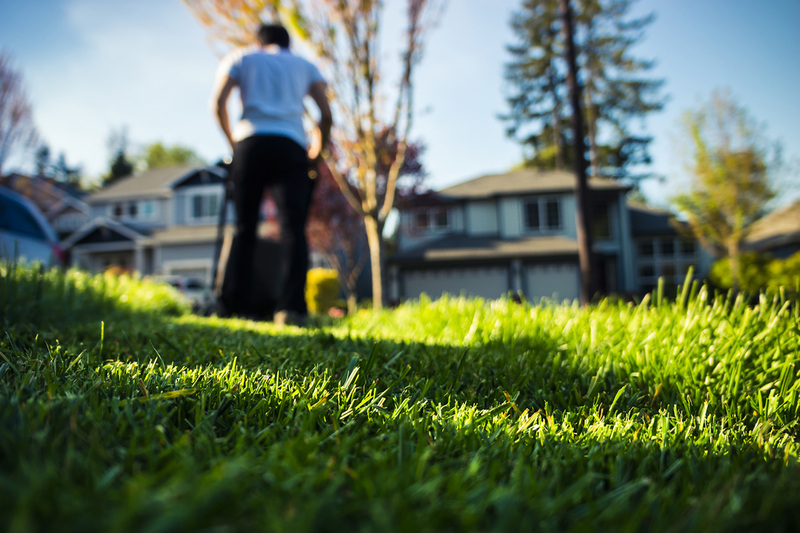 Lawn Tips for Early Spring - Lakeside Sod Supply Co. Early Spring is the time to assess your lawn and make plans for improvements and a season of proper care. A general failure, poor color, and disappointing growth last year? The pH may be the problem. Plants do not thrive if they cannot take up the nutrients they need. An extreme soil pH (too high=too alkaline, or too low=acidic) makes it impossible for nutrients to get to the little grass plants. It’s time for a soil test! Contact us for a pH test. If pH is your problem, we will advice you about correcting the situation. Choose three or four areas that you think are typical of the lawn area that concerns you. We will supply the soil test tool & sample bag. With the soil probe, pull out a plug of soil to a depth of 3 inches. Do not touch it with your hands, as that would affect the pH reading. Use the soil plugs to fill the sample bag to the marked line on the bag. The lime or sulfur question: Depending upon your soil test results, we will advise about products to add to fix the situation, including the amounts and frequency. Long-term change will require repeated application, often in spring and fall. Sulfur-based products are used to lower the soil pH – the typical situation in much of WNY. Lime is used to raise the soil pH. Say NO to routine “liming”! Some lawn care practices, that our parents or grandparents used to do, have become obsolete and inappropriate based on current science. Many homeowners “limed” the lawn every spring, which raises the soil pH, making it too alkaline for plant health. Most lawns in Western New York already tend toward alkalinity. When in doubt, get a soil pH test before using lime (to raise pH) or sulfur products (that lower pH). If Rhododendrons in your or your neighbor’s yards continually fail or look “chlorotic” (yellowish, off color), the soil is probably too alkaline. Those plants (called ericaceous) require a very acidic soil. Get a pH test and advice about sulfur-based products. If your Big Leaf Hydrangeas (Hydrangea macrophylla), such as ‘Endless Summer’ and its’ descendants, have pink or mauve flowers when you hoped for blue, that’s because the soil is too alkaline. That blue color occurs only in very acidic soil conditions. We can assist you with the right grass seed to fill in thin or bare patches. In some cases, sod may be the answer in selected spots. (See our other blog posts to decide whether seeding or sod is your best solution.) If the soil is badly compacted, you may need to loosen it by rototilling or aerating. You may also need to enrich the soil by spreading a thin layer of compost. Aeration, done by removing plugs and opening little holes in the lawn, lets new seeds or compost penetrate the formerly compacted area. Seeding and/or spreading compost can be done in early spring, after the snow recedes and the soil begins to dry out. Avoid compacting wet soil by walking or using equipment on it. Evaluate the weeds in your lawnand think about your tolerance level for weeds. Perhaps your front lawn should look relatively weed-free, but the back lawn can be more casual? A lot depends on where you live and the attitudes of you and your neighbors. What’s your acceptance level? If a few weeds may be acceptable, then hand-digging or pulling should suffice. Dandelions:Before you have a field of dandelions, you can manage them by spot treating with selected Pre-Emergent Herbicides. We care about the environment and applaud efforts to spot-treat lawn weeds, and to use the minimum amount of safe, effective products at the right time. Aggressive, spreading weedslike Creeping Charlies, Veronicas, Goutweed, and the rest: Some may call for post-emergent herbicides. However, there’s a time for removal of entire weedy patches (or whole lawns) and replacing those sections with sod or proper seeds for the site. Let us advice you – we’ve seen them all! Dandelion flowers are the first source of nectar for lady beetles, that are highly beneficial insects. Lambs’ quarters, purslane, and young dandelion greens are among the many edible greens often called weeds. Clovers – considered weedy by some – are beneficial because they add nitrogen to the soil (called nitrogen-fixing) and are highly supportive of pollinators. Before launching an aggressive attack on all the weeds in your lawn and garden, learn what they are and whether they have ecological or edible value. Again – what is your tolerance level for weed population in your lawn? 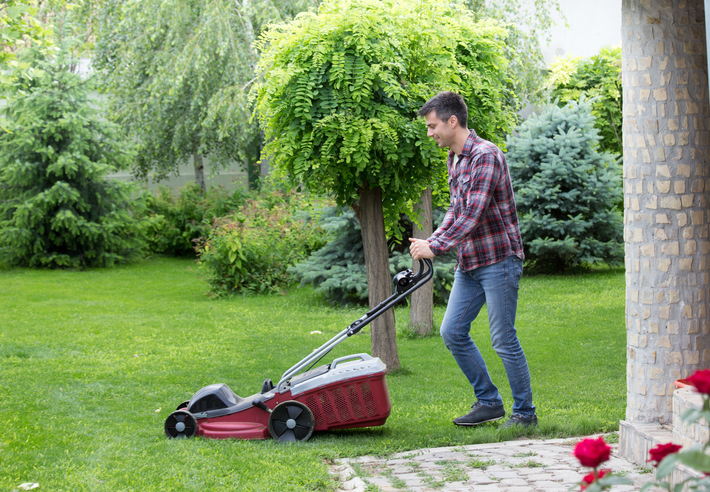 Using Your Freshly Sodded Lawn: How Long Must You Wait? Upstate New York’s most reliable resource for sod, seed, fertilizer and products for both the trade and consumers. © 2018 Lakeside Sod Supply Co.